The FDA is updating its position on over-the-counter sunscreens, and according to the new proposal, several popular ingredients require more data. New guidelines do, however, note that zinc oxide and titanium oxide remain safe to use. The FDA evaluated a total of 16 sunscreen ingredients and found that 12 of them lacked sufficient information to say whether they are safe. Two ingredients—PABA and trolamine salicylate—are considered unsafe for sunscreen. While largely supportive of the FDA's new proposal and efforts to educate consumers about sunscreen use, top dermatologists worry it does not go far enough and fails to make it easier for new ingredients to be approved. The proposal will be available for public review and comment for the next 90 days. "Since the initial evaluation of these products, we know much more about the effects of the sun and about sunscreen's absorption through the skin," FDA Commissioner Dr. Scott Gottlieb says in a statement. Sunscreen lotions, sprays, oils, creams, gels, butters, pastes, ointments, and sticks offer proven protection, but wipes, towelettes, body washes, shampoos, and other forms of sunscreen no longer pass go and must now be categorized as new drugs because the FDA has not seen data showing they are effective. Powder sunscreens may be effective, but more safety and efficacy data is needed before they can be included in the new proposal. The new proposal may not go far enough, says Heidi A Waldorf, MD, a dermatologist in private practice in Nanuet, NY and an Associate Clinical Professor of Dermatology at Mount Sinai Hospital in New York City. In addition to the two ingredients considered unsafe by the FDA, there will be 12 additional chemicals listed as having unknown safety, including some that are very commonly used. “It won’t keep any from being used. It just suggests more investigation,” she notes. The FDA has asked the sunscreen industry to conduct additional testing on products with these ingredients. Calling the FDA recommendations "a positive step forward," Ilana DeLuca MD, PhD, FAAD, an Assistant Clinical Professor in the Department of Dermatology at the George Washington School of Medicine and Health Sciences in Washington, DC, points out that it's important to understand that the 12 organic filters that the FDA is asking for more data on are not necessarily unsafe, and patients shouldn't be discouraged from applying sunscreens containing these ingredients. "At the same time, absorption data on these ingredients is needed, especially since we're asking patients to apply sunscreen every single day to the face at a minimum in order to prevent skin cancer. We should be able to comfortably make that recommendation for all active filters, not just zinc and titanium." She is also glad that the FDA will be reviewing sunscreen wipes, towelettes, and shampoos. "I am suspicious about these forms of sunscreen and feel like they do need to be looked at in further detail, she says. 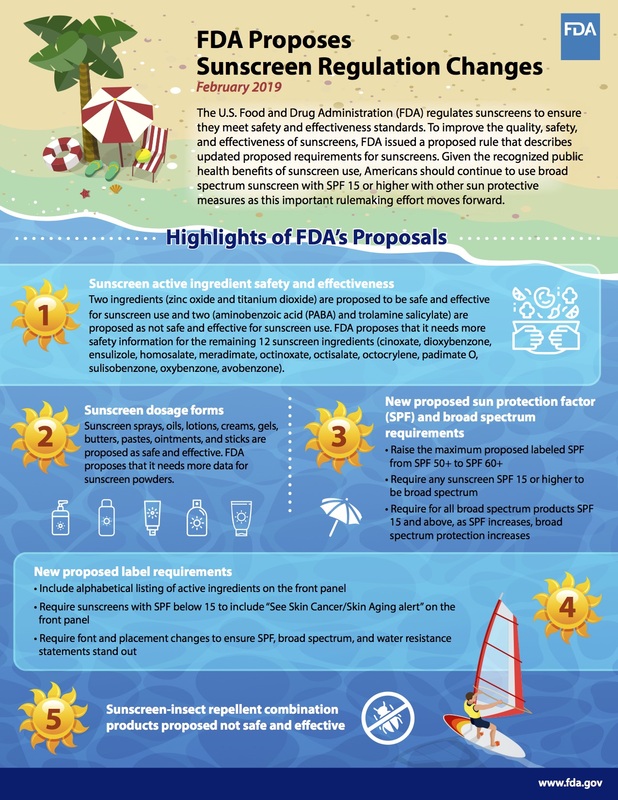 "Overall, I…agree with what the FDA is doing to help patients put sunblock on, reapply sunblock, and protect from themselves from skin cancer. I personally think the next step should be discouraging sunblocks less than an SPF 15 from being even on the market." 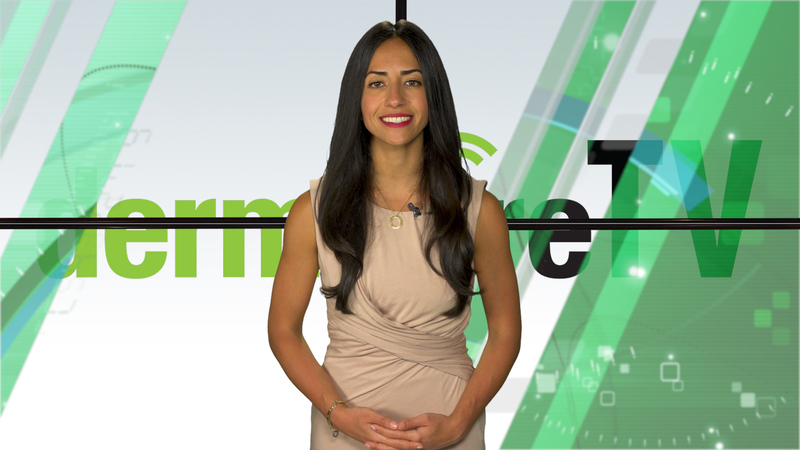 The new legislation will help give consumers better information on the sunscreens that they are using, adds Joshua Zeichner, MD, Director of Cosmetic and Clinical Research, Department of Dermatology at The Mount Sinai Hospital in New York City. "Proper use of sunscreen is one of the most important ways that we can protect ourselves against the development of skin cancers so I support any new FDA actions that help educate consumers on their use," he tells DermWire. That's the good news. "Unfortunately, little official guidance is given on the majority of the chemical filters used in our sunscreens," Dr. Zeichner says.